In a landmark decision, Russia’s Constitutional Court has ruled against fulfilling a demand from the European Court of Human Rights (ECHR), which had questioned a Russian law that deprives prisoners of their voting rights for the term of their jail time. In July 2013 the ECHR fulfilled a lawsuit filed by several Russian citizens and ruled that the article of the Russian Constitution that suspends the electoral rights of people serving prison sentences was indiscriminate and automatic, and therefore contradicted the International Convention on Human Rights and Basic Freedoms – in particular, the section that guaranteed the freedom of elections. 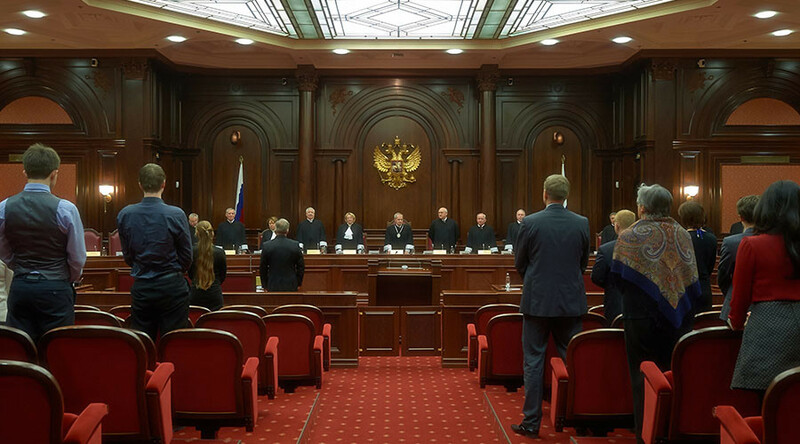 In its Tuesday ruling, Russia’s Constitutional Court stated that currently it was impossible to fulfill the ECHR’s demand and that the claimants in the case should be left without compensation. At the same time, Russia’s top court allowed for the partial execution of the ECHR verdict, saying that in future the country should get new forms of criminal punishment that would restrict personal freedoms but not voting rights. The ruling, published on the Constitutional Court’s website on Tuesday, was the first implementation of a law introduced in December 2015. This act allows the Constitutional Court to overrule the decisions of international courts if such decisions contradict the principle of supremacy of the Russian Constitution. It also states that the Constitutional Court should now look into every decision of any intergovernmental body based on an international treaty, and find if the ruling matches the Russian Constitution and the rights and freedoms guaranteed by it. Having done this, the Constitutional Court can allow the decision to be executed in Russia, in full or in part, or ban its implementation – also in full or in part. Any ban imposed would automatically cancel any national acts allowing the execution of the unconstitutional ruling. In mid-July last year the Constitutional Court ordered that all ECHR rulings concerning Russian citizens or authorities must be individually approved and only carried out if they do not contradict basic Russian law.